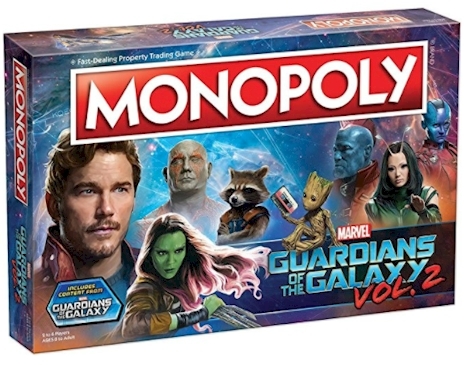 Amazon has got this Guardians of the Galaxy Vol.2 edition Monopoly Game for $13.92 with free Prime shipping. (Compare to the ThinkGeek price.) It got 4.4 out of 5 stars over 24 customer reviews and is an "Amazon's Choice" item.